Sorry for the short break in blog posts – one of the benefits of doing natural sciences is that they aim to be a paperless course, which includes loaning laptops to students if they require them, but this also means over reliant students are without a computer while they are being updated during the summer holidays.. 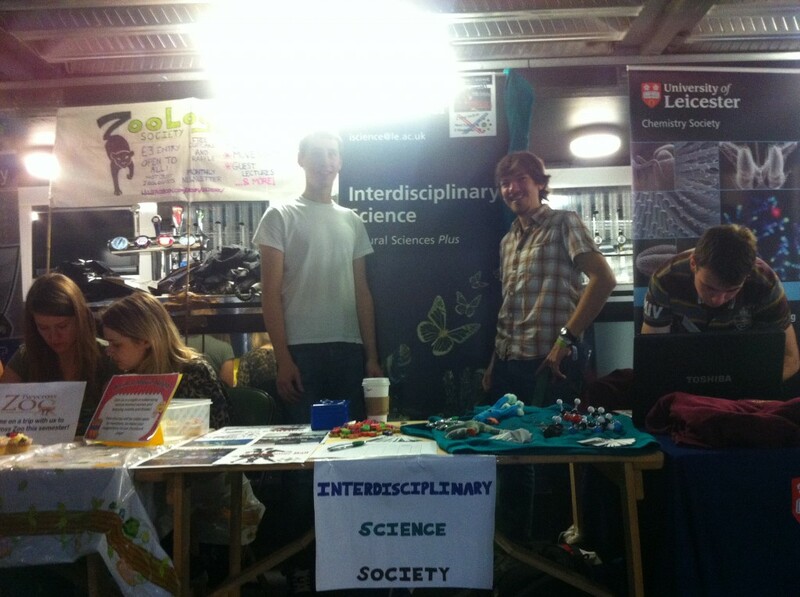 This week Freshers Fair is taking place, so the Interdisciplinary Science Society committee have been busy promoting upcoming events at a stall in the O2 Academy in a bid to get new members. 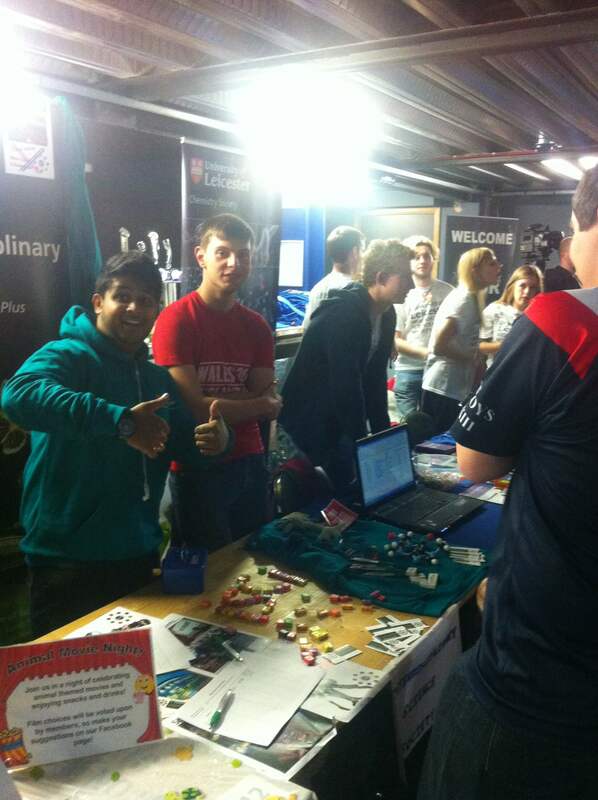 So far we have a laser tag social and a fundraising event planned just after the end of freshers week, along with go karting and ice skating events shortly afterwards. The aim of the fundraising is to help expand the grass plot projects in Lake Bogoria Kenya, which you can read more about here. I’ve also managed to arrange the first three academic seminars to take place during the first three modules of the year, which will feature talks on structural biology, electrochemistry applied to forensic science, and …something interdisciplinary in the field of geology. Working on a stall is a great chance to meet a lot of the new students on the natural sciences degree, and it also gives an insight into what other societies are doing, and just how many there are. One thing the union tries to encourage is events held by more than one society, and this is one of the best opportunities to make this happen. Today I also found out the details of my third year project, which will form a large part of my coursework throughout the year, in particular in semester two. Essentially it involves looking at how different metals interact with liquid helium, more specifically in very small clusters called helium nanodroplets. In these nanodroplets some metals have been shown to display unusual behaviour, forming ‘foam’ rather than clustering together, while for others this doesn’t seem to be the case. My job is to use different quantum computational modelling techniques to predict the probability of these foam-like structures occurring, hopefully also giving an insight into how other structures could form. So we’ll see how that develops! I really can’t wait to get started, as I’ve always wanted to do a project more geared towards pure research, and from the look of some of the papers on nanodroplets a preferred modelling technique is Density Functional Theory, which I’ve been interested in since first year.